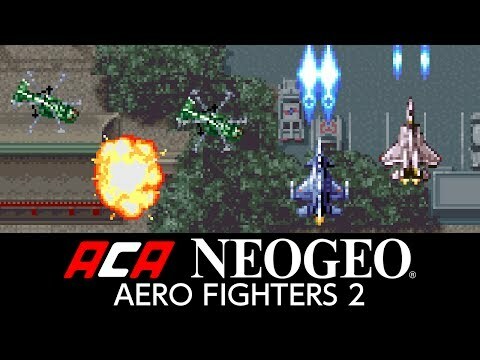 'AERO FIGHTERS 2' is a vertical-scrolling shoot 'em up released in 1994 by VIDEO SYSTEM. A variety of unique pilots, including a pop singer and an aviation ninja, take place in dog fights at the speed of sound to save the world. 'AERO FIGHTERS 2' is a vertical-scrolling shoot 'em up released in 1994 by VIDEO SYSTEM. A variety of unique pilots, including a pop singer and an aviation ninja, take place in dog fights at the speed of sound to save the world. Enjoy a story mode packed with multiple endings. ©VIDEO SYSTEM / ©2017 HAMSTER Co. Arcade Archives Series Produced by HAMSTER Co.